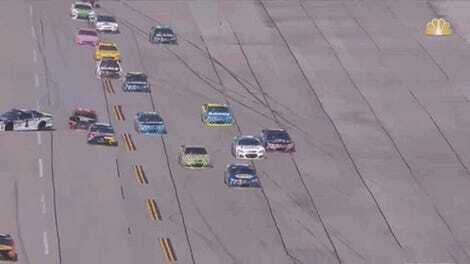 It’s official: Talladega’s Monster Energy NASCAR Cup race is insane this year after a relatively tame start. 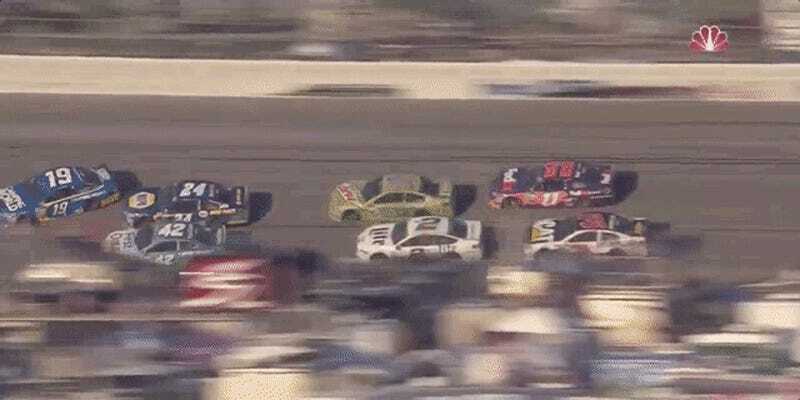 A third red flag of the night came out after Chase Elliott tried to take advantage of a hole that quickly disappeared at the front of the field, making a big ol’ mess. Playoff contenders’ current standings in the race. Note the number of drivers who’ve retired. Daniel Suarez, Chase Elliott, Kyle Larson, and Chris Buescher were all involved in the wreck, which triggered a red flag to clean up the mess left on the track with six laps to go. After a series of big crashes in the final moments of this race, only four of the 12 playoff contenders are left running. 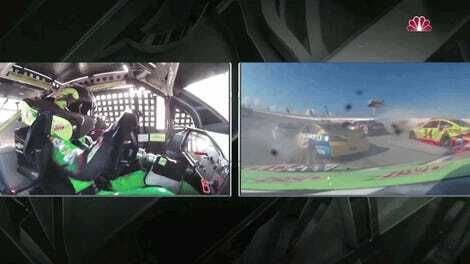 Curiously, Dale Earnhardt Jr. avoided the big crash again in his green No. 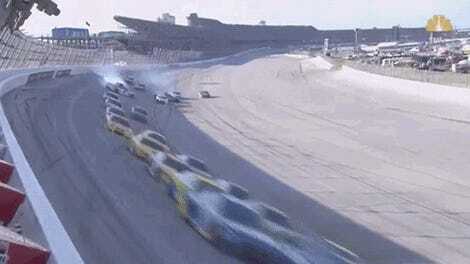 88 car, as if someone must have installed a protective force field around his car or something for just this race. Only 12 cars remain on the lead lap at this point, according to NASCAR’s live timing screen. That’s 12 cars of 40 starters. Incredible.